We here at Calendar Lady promotions want your business to prosper and flourish and by having your business details and company logo printed upon our Company Golf Shoe Bags and then giving them away at a trade show or as a promotional gift to your friends and customers. To find out more about our Company Golf Shoe Bags click here and fill in the contact form and we'll get straight back to you. 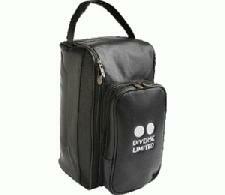 Other promotional and personalised items besides our Company Golf Shoe Bags click here.